Nnedi Okorafor loves creating imaginary worlds. Her latest project is helping create the imaginary African country of Wakanda for Marvel’s Black Panther series. “With Black Panther, I like to look around Wakanda through his eyes. Parts of writing within that universe is I finally got him to see Wakanda,” she told nearly 100 people who gathered at the Homewood Public Library Jan. 11 for her guest author visit. Kathy Parker is serving as the interim director of the Homewood Public Library following the resignation of Amy Crump who left the director’s position in December. Amy Crump, director of the Homewood Public Library, submitted her resignation to the board. Her last day will be Dec. 7. Crump has accepted a new position as director of the Bellwood Library. Singers interested in performing the show must register by Nov. 17 at http://bit.ly/HomewoodHamiltunes. 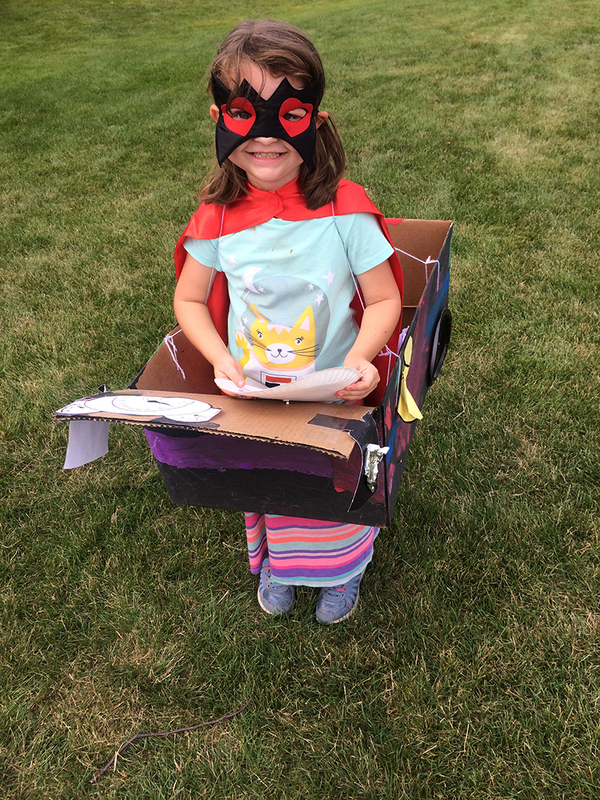 Eleanor Greep was ready to steer her car through an obstacle course at Irwin Park. The car race was one of several games children enjoyed at the end of the summer reading program at the Homewood Library. Oh, it's so good! 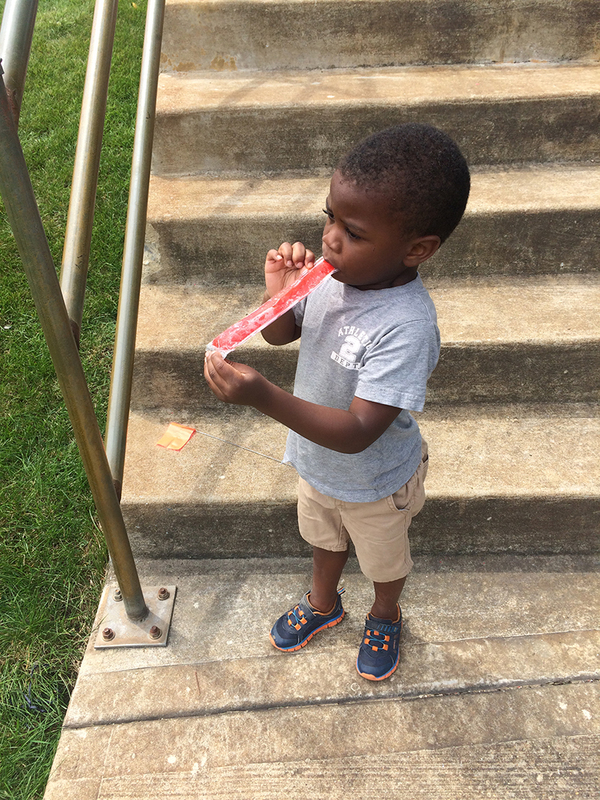 Micah Bolton, 3, of Homewood got a special treat after he ran in the sack race at Irwin Park. 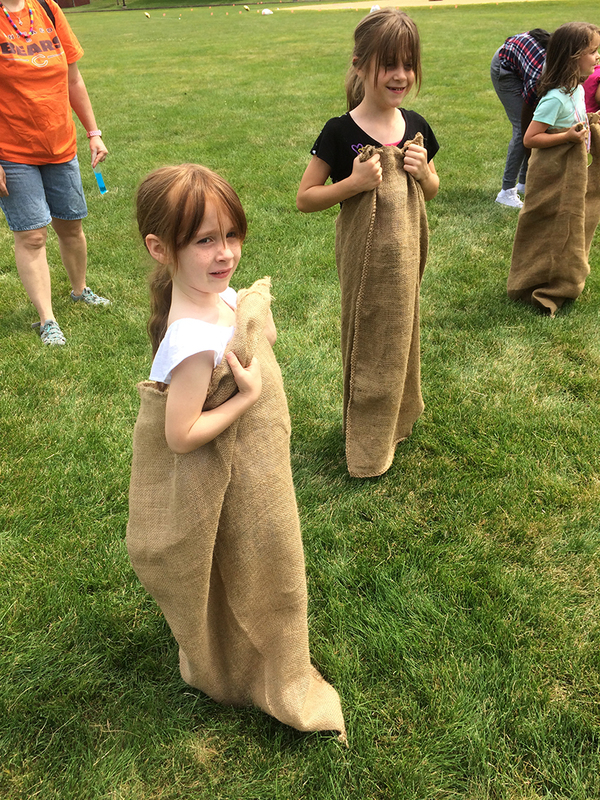 Sisters Mia, 6, and Ginger Willford-Holley, 8, of Homewood are at the starting line for the sack race. Various games were part of the fun as the Homewood Library celebrated a successful summer reading program. There isn't much that better than a cold treat on a hot day for, from left, Naomi Zurek, Nelson Mahwikizi and Charlie Zurek. 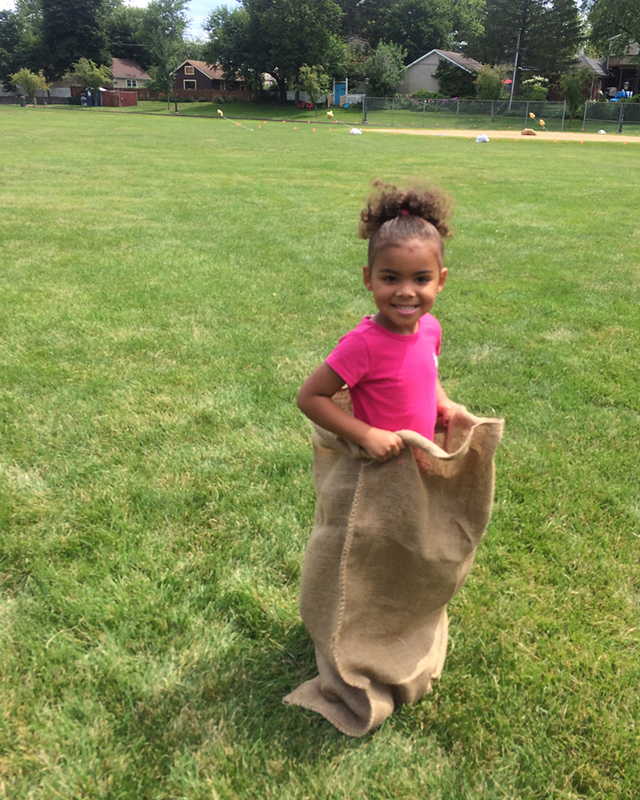 Takaylah Chillis, 3, of East Hazel Crest, gets ready for the sack race that was part of the Homewood Library's party ending the summer reading program. 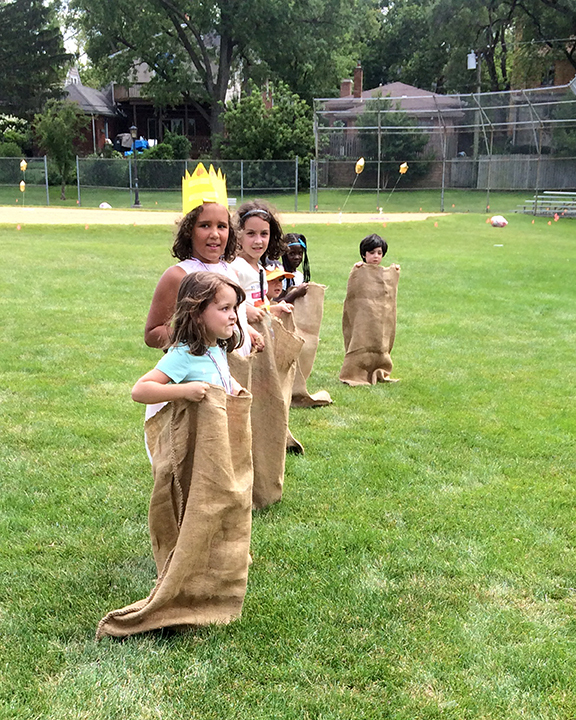 Kids are all set for countdown for one of the sack races in Irwin Park on Saturday, July 28. After you’ve had a summer of interesting reading, it’s time to celebrate with your new friends. The reading program began June 1 with a Library Block Party. The program was for all readers – youth, teens and adults. 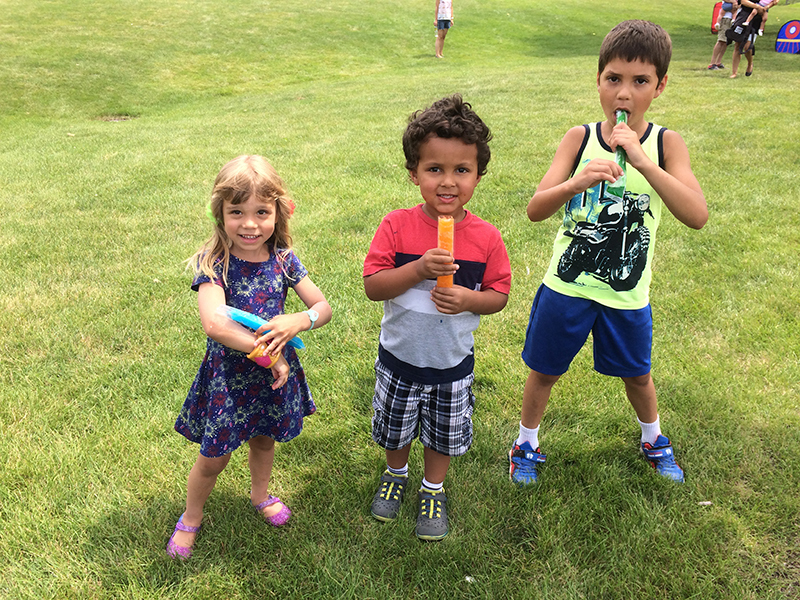 The staff at the Homewood Public Library gave kids the chance to meet up at Irwin Park on Saturday, July 28, to enjoy music for dancing, get a few summer treats and play games. The summer reading program was funded by Friends of the Library, a volunteer group that sponsors book sales to raise money for the library. Homewood’s beloved “Home Sweet Homewood" water tower’s been stolen! That's the premise of an investigative role playing game sponsored by the Homewood Public Library. Homewood Public Library board members approved a $2.42 million budget in May for the 2019 fiscal year that starts July 1. Amy Crump, the library’s executive director, said the board anticipates future revenues will remain stable or increase after several lean years due to declining tax revenue attributed to the continuing effects of the most recent recession.